Novaflex 3257. Corrugated Low Temp Tank Truck. 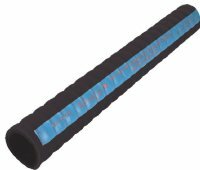 A medium duty low temperature petroleum suction and transfer hose designed to be highly flexible with a hose cover that provides extra abrasion resistance to meet the demanding requirements of industry. Handles all grades of gasoline with aromatic contents to 55%.